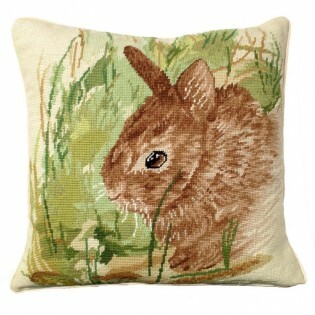 The Thumper Rabbit Pillow is a beautiful handmade needlepoint pillow. Made from 100% wool with a cotton velvet zippered back and removable insert. This adorable thumper rabbit is hiding in the grass. The close up detail of Thumper's face has very realistic detail.